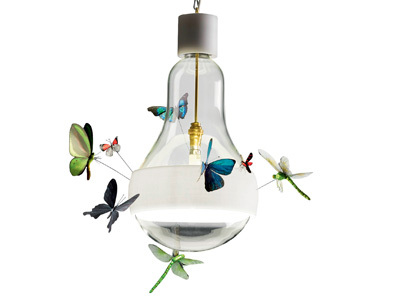 More like a work of art than a regular lamp, Ingo Maurer’s J.B. Schmetterling (German for butterfly) is an oversized light bulb adorned with hand-made insects including Dragonflies and Butterflies. 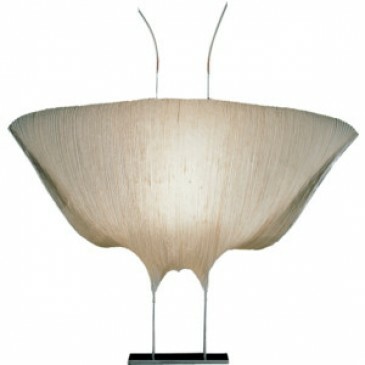 The J.B. Schmetterling pendant lamp was created by Ingo Maurer in collaboration with Graham Owen. 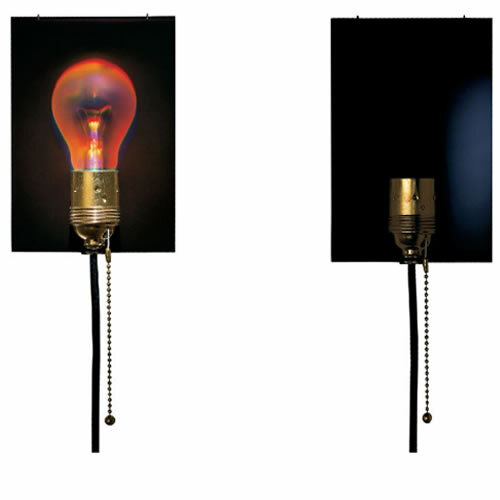 The J.B. Schmetterling Lamp is so much more than a lamp; it is a multi-functional work of art. It provides light while captivating viewers with a magical sense of nature’s beauty, mystery and enchantment. 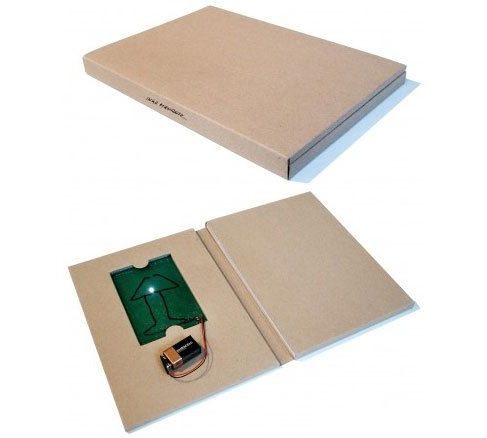 Widely considered to be the most beautiful new creation in design of the last decade. 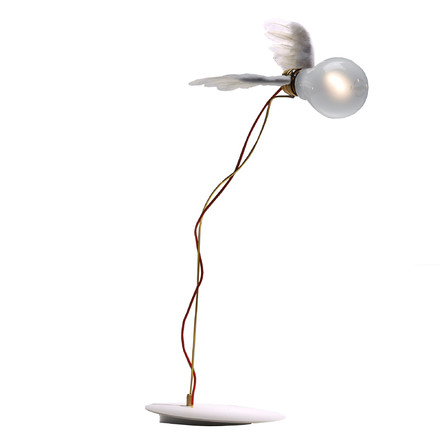 The Dragonflies and Butterflies are made exclusively for Ingo Maurer. Each is individually handmade and colored with exquisite pigments from Kremer Pigments in Munich Germany. No molds, plastic, wood, clay, resin, etc are used in their construction; each insect is an individual work of art, created to be beautiful, life-like, durable, and light as a feather. 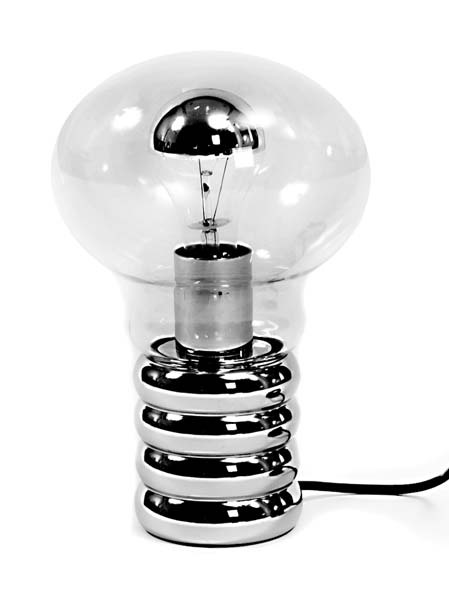 sculptor and inventor as well as a designer, he is known for transforming everyday materials into works of art. 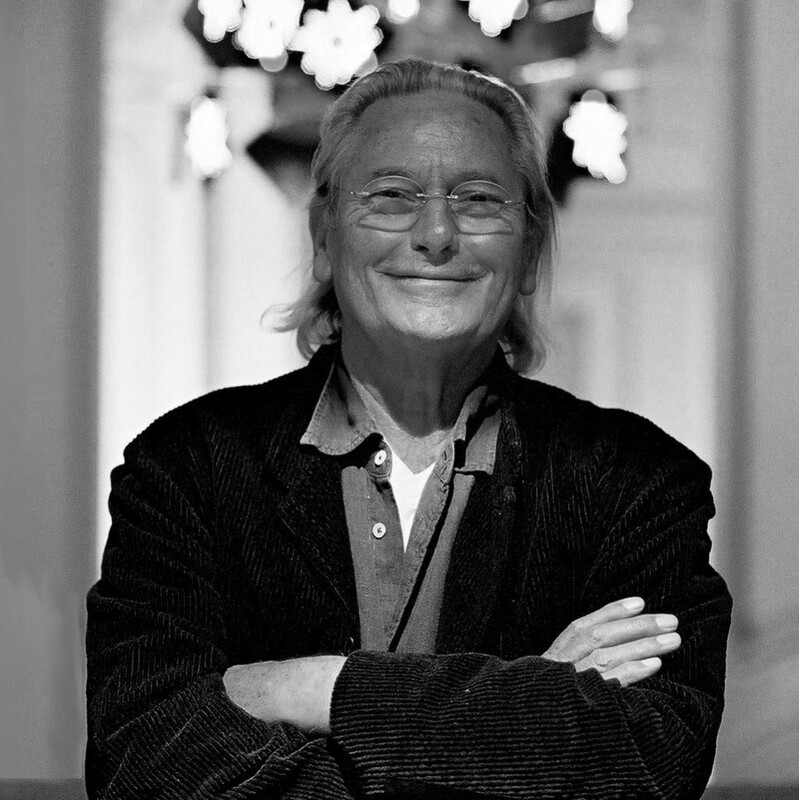 He has had solo exhibitions at the Cooper-Hewitt, National Design Museum in New York and the Philadelphia Museum of Art, and received the Compasso d’Oro career award in 2011.